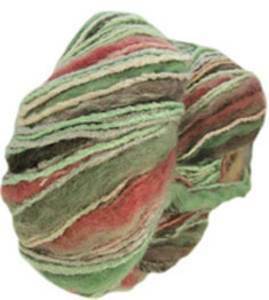 Katia Bolivia chunky is a luxurious thick and thin chunky knitting yarn with wool and bamboo. It has a gorgeous blend of colours and textures that makes stunning scarves, accessories and cover-ups. 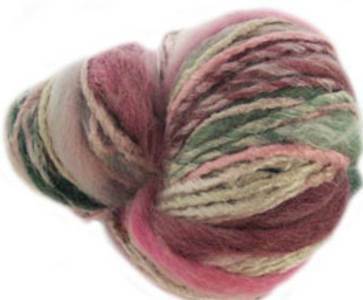 Katia Bolivia knitting yarn combines thinner lustrous sections with thick soft roving and knits to a chunky tension of 14st to 18 rows over 10cm on 5.5mm needles with a blend of 48% bamboo, 44% wool and 8% acrylic. Katia Bolivia is machine washable at 30'. With 100g, 140m and 153yds skiens youn can make a long sleeved women's top (90cm, 36in) from just 4 skeins. 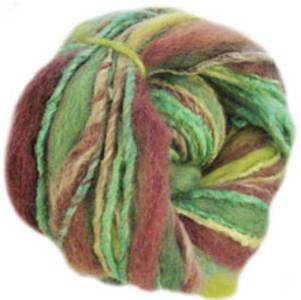 Katia Bolivia 70, luxurious thick and thin chunky yarn, a gorgeous blend of colours and textures. 48% bamboo, 44% wool, 8% acrylic. 100g skein with a generous yardage of 140m.